Celebrated by consumers and industry authorities alike since it was first introduced in 2005, the Chevy Equinox is a compact SUV appreciated for its combination of style, capability, and comfort. The second generation of the Equinox launched with the 2010 model and will extend to include the upcoming 2017 release. Considering that used car customers tend to get the best value when shopping pre-owned vehicles from more recent model years, the McCluskey team would like to zero in on the second generation of the Equinox, using the 2014 model as a more specific example. For those prospective buyers with bad credit, the used car inventory at McCluskey offers an abundance of options, so you can rebuild your credit without sacrificing those things you value most in a vehicle like dependability, safety, and efficiency. Why the 2014 in particular? Well, the 2013 model year delivered a considerable engine upgrade, dropping the optional V6 for a direct-injected 3.6-liter, generating 301 horsepower. We think those of you in the market for a used Chevy Equinox will appreciate the engine options distinguishing the second half of the second generation. Between its overall interior and exterior style, hushed cabin, elegance, and ample space, the Chevy Equinox has been a consistent family favorite in a very competitive class. The 2014 model year delivered two engine changes. The first, as mentioned earlier, swapped the available three-liter, which only made 264 horsepower, for the 3.6-liter as a 301 horsepower option, making it a leader in acceleration among the compact SUV class. But the standard equipment saw a shift, too. Starting in 2014, a 2.4-liter four-cylinder engine, capable of delivering up to 182 horsepower and highway fuel efficiency rated at 32 miles per gallon, represented a departure from the standard V6 from the previous generation, an upgrade which boasted enhanced efficiency, while still packing plenty of power. Regardless of which engine you choose, the second-generation Equinox trims come standard with front-wheel drive, and all-wheel drive is optional across the board. And speaking of Equinox trims, there are four to consider: the entry LS, the LT (which splits into the LT1 and LT2 sub-trims, and the high-end LTZ). As expected, the LS is fairly bare bones, and ideal for those looking for a steal, that is also safe and reliable. Most consumers tend to target the LT range, with the LT2 representing a boost in bells and whistles. But, for all the amenities and top-tech one could hope for in a compact crossover, the LTZ is unlike any other. Cargo space is something consumers value in the Equinox – no matter the trim – with the cargo area measuring 31.5 cubic feet when all seats are up, and extending to 63.7 cubic feet after the seats are folded down. Safety is another priority for most consumers and, here too, the Equinox delivers, returning top safety scores from federal tests and the Insurance Institute for Highway Safety. 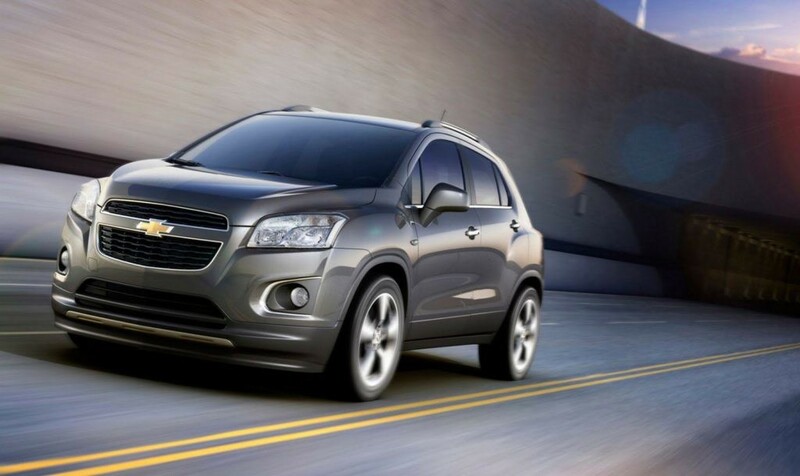 The National Highway Traffic Safety Administration awarded the Equinox a total of four out of five stars overall. Standard safety features like electronic stability control, traction control, and an array of airbags can be further supported by available equipment, such as forward-collision alert and lane departure warning. Proof that buying used doesn’t require missing out on the latest safety technologies. Rather than the slimy used car salesman cliche that is so recognizable by too many consumers, the team at McCluskey Chevy is honest, straightforward, and committed to helping you purchase the best used vehicle for your lifestyle and budget. With flexible hours and a convenient location, stop by or call today to schedule a test drive. Behind the wheel, a well-cared for used vehicle often feels like new, even if it is technically just new to you.